An illustrated guide to the world's grape varieties and the wines they make. The authors cover the 350 or so varieties that really matter, either because they are widely grown or because they are important ingredients of classic wines. Also included are 17 extended features on classic varieties. The modern world of wine is rich with exciting and well-made wines, up-and-coming new wine regions and innovative winemakers, but the most influential factor determining the taste of a particular wine is still the grape variety or blend of varieties from which it is made. 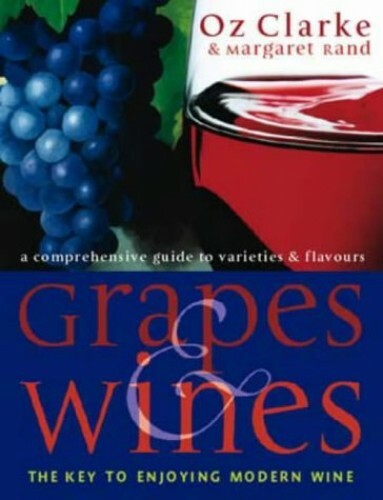 In this book, Oz Clarke and co-author Margaret Rand cover the 350 or so varieties that really matter, either because they are widely grown in the major wine regions of the world or because they are important ingredients of classic wines. Also included are 17 extended features on the classic grape varieties. Illustrated with photographs and maps, these special features give the reader an insight into the methods used to maximise each grape's potential and an appreciation of the people behind the production of the world's finest wines. An introductory section, "All About Grapes" explores the history of the vine, shows where grapes are grown today and provides information on what happens in modern vineyards and wineries.